Locate, record, download, convert & enjoy music movies & radio stations anywhere. 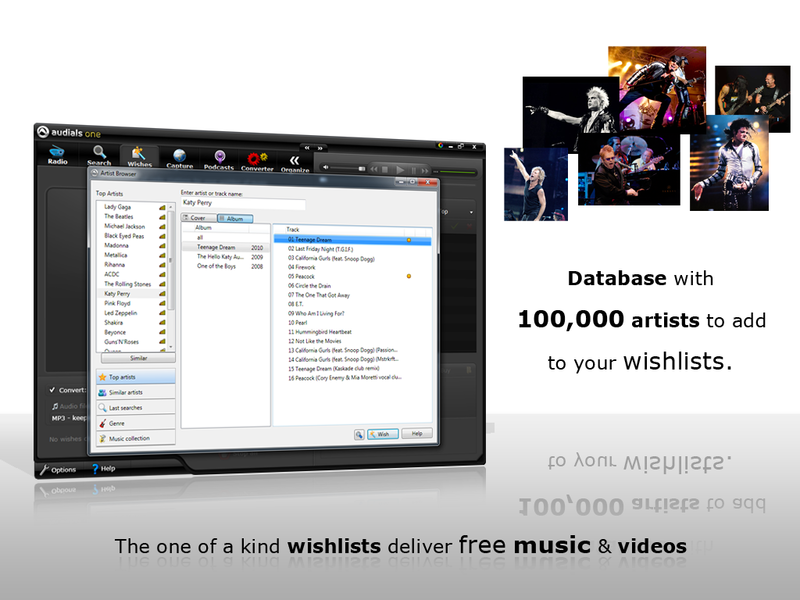 Music database to search for one of 10,000,000 MP3s. Web radio recorder fulfills wishlists from over 60,000 Radio Stations. Universal video stream recorder. Save audio streams as MP3s. DVD ripper. Audio & video converter for cells, smartphones, iPhones, iPads, iPods, Xbox & PS3. Media management functions, player, cloud manager, ID3-tagger & podcatcher. ...... The world?s largest radio database. Home money tracking free download and full version under $10.00! This is a game full of money and rocks. Qweas is providing links to Audials One 9 as a courtesy, and makes no representations regarding Audials One or any other applications or any information related thereto. Any questions, complaints or claims regarding this application Audials One 9 must be directed to the appropriate software vendor. You may click the publisher link of Audials One on the top of this page to get more details about the vendor.